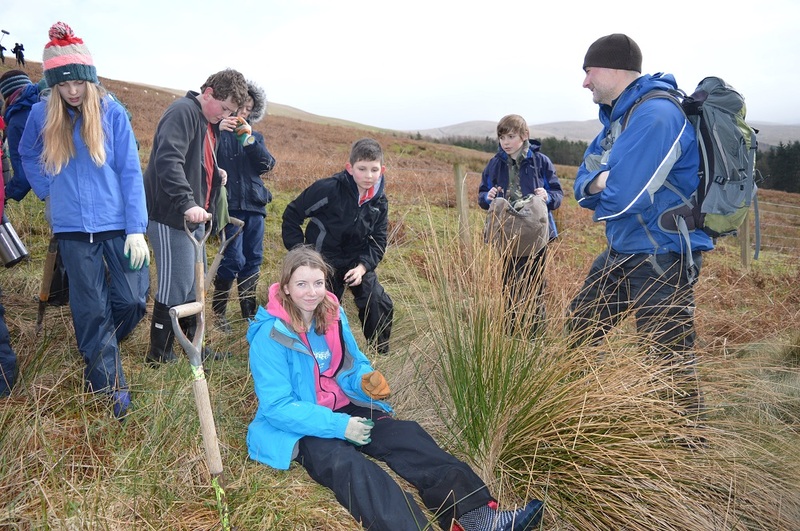 Junior Rangers had their first session of 2016 last Saturday with the task of tree planting in Coreknowe. 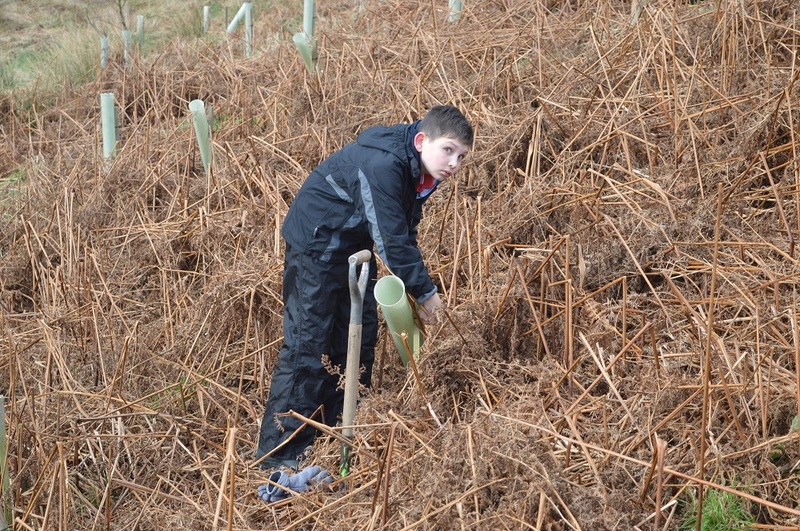 Here we are creating a small area of young native woodland just by the Devil’s Beef Tub. 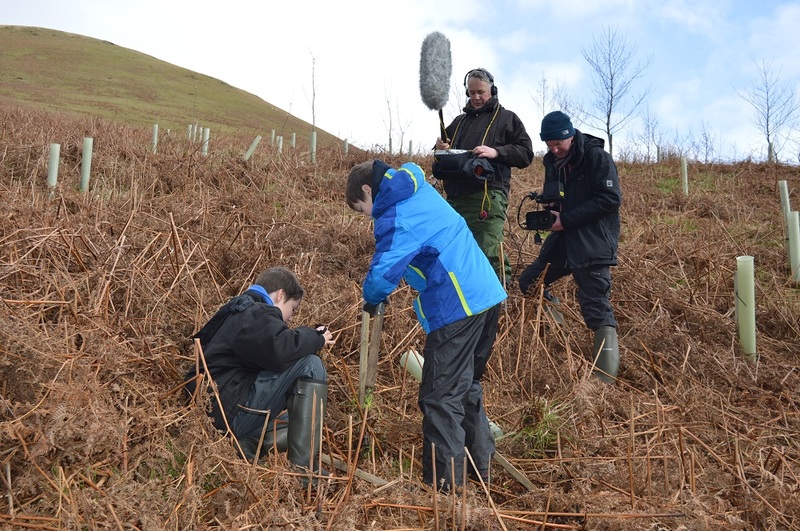 This time we were accompanied by a film crew, making a film to celebrate Borders Forest Trusts 20th anniversary, which will be shown in the Scottish Parliament on the 2nd March. I was worried no one would want to talk to the camera, but instead there was a queue of those eager to share their experience as life as a Junior Ranger! We were doing what is called ‘beating up’ – that is replacing any trees that didn’t survive, in an area previously planted. Volunteers had already been through and angled the tree tubes where a new tree was required. So all we had to do was find the angled tubes, plant a tree and replace the tree guard. 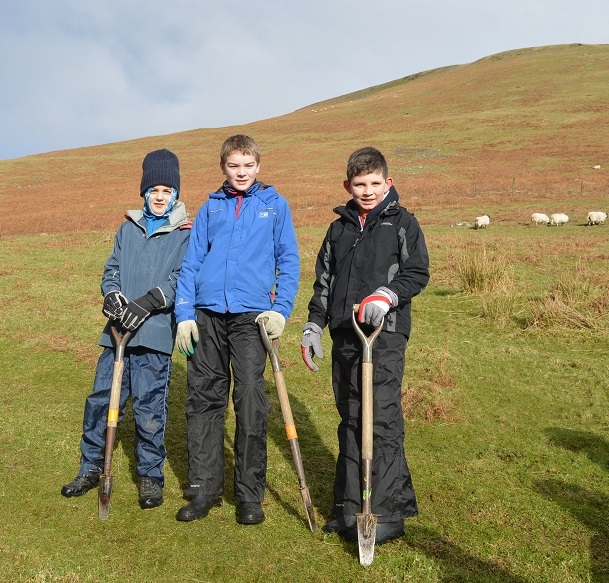 We were planting Rowan and Birch and we planted 70 trees that day. 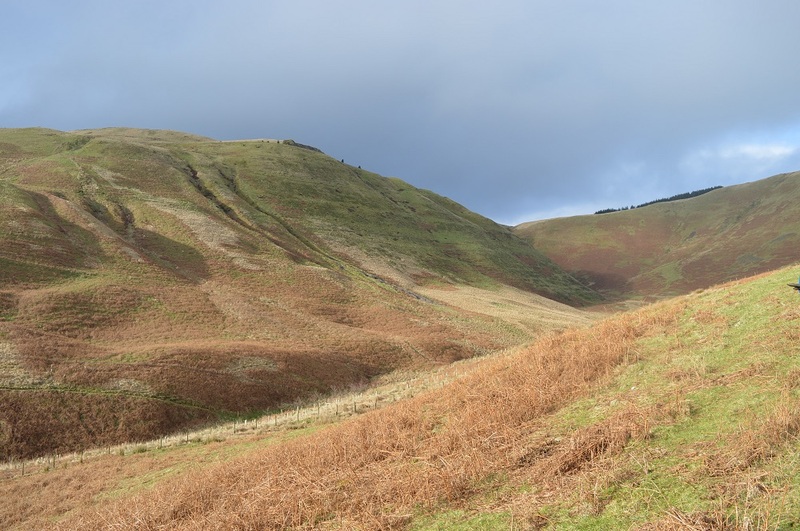 There is a high density of bracken in Coreknowe, which as well as competing and shading out the trees, provides cover for the deer to browse undisturbed; two factors which greatly reduce the chance of young trees getting away. So we’ll definitely be back in the spring to bash some bracken and help give the trees we planted a good head start. End of the day …happy planters!